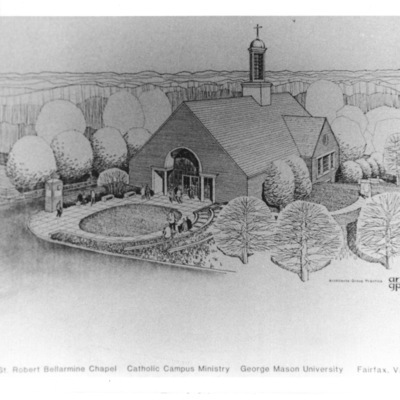 Photograph of the St. Robert Bellarmine Chapel located on Roberts Road in Fairfax. 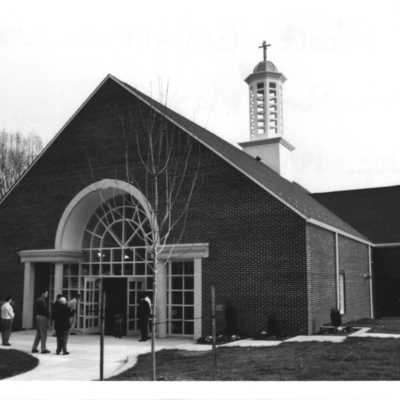 This photograph was taken on December 3, 1994 the day of its dedication. Photo is 5" x 7"; black and white.